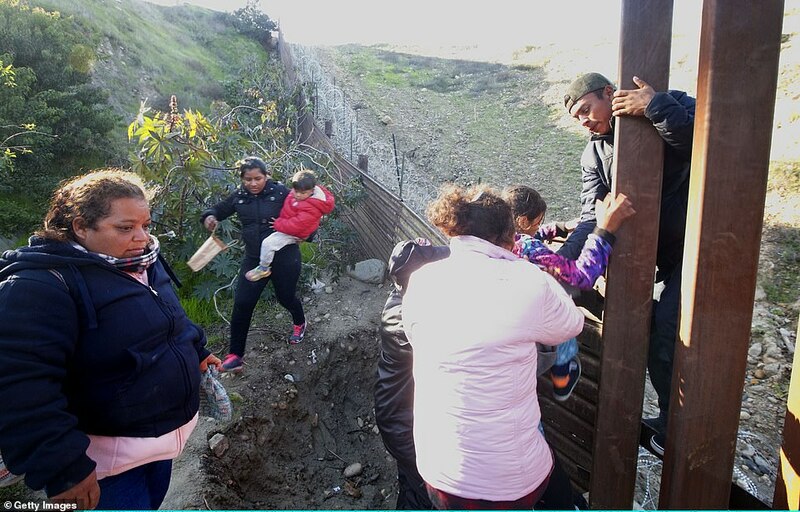 A family of Honduran caravan migrants have been pictured passing their children over barbed wire fences along the Mexican border in a desperate bid to cross into the US. 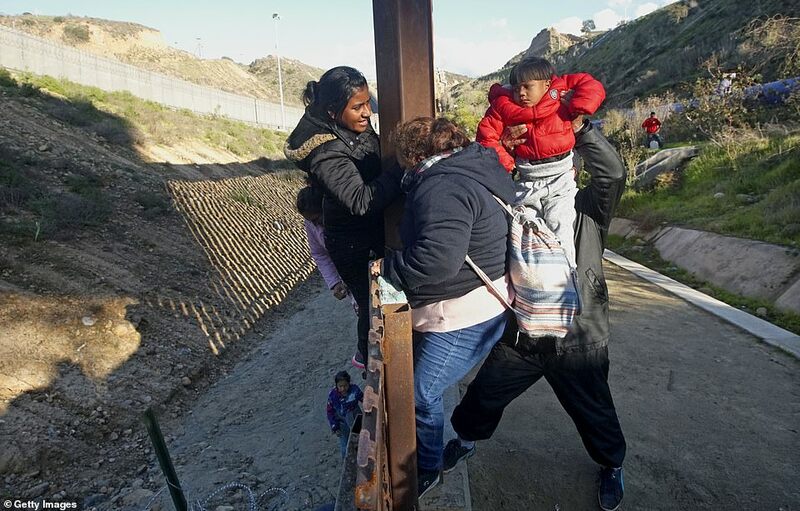 A little boy, wrapped in a red puffer jacket, was hoisted above his father’s head and handed to his mother before being lowered to another member on the ground below during the dangerous maneuver. 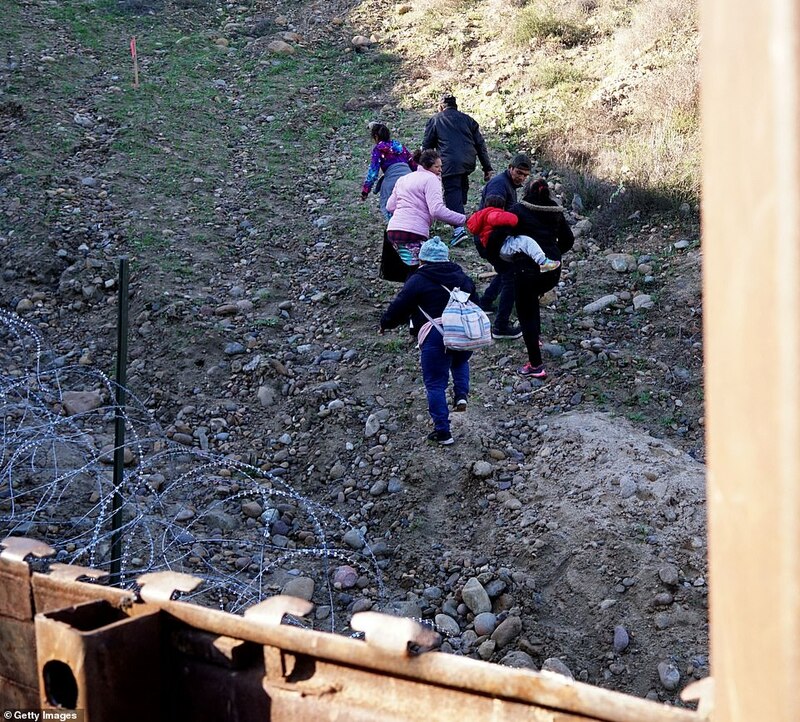 After successfully clearing the fence and entering American soil, the family then made a run for it. 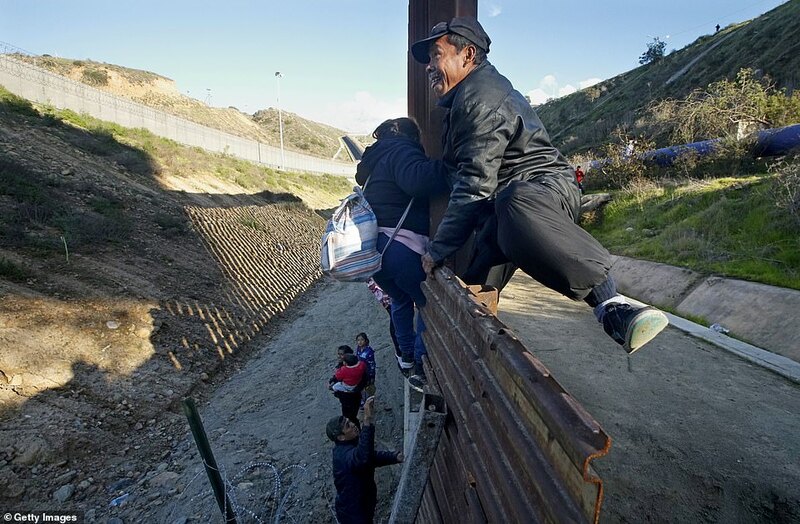 It’s not known if they made it to the US or not. 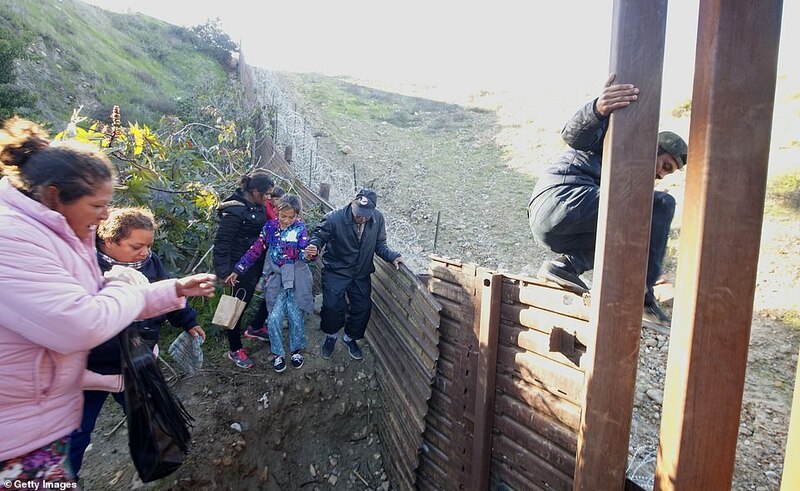 The family are among thousands of Central American migrants dug in at temporary lodgings in the border town of Tijuana. 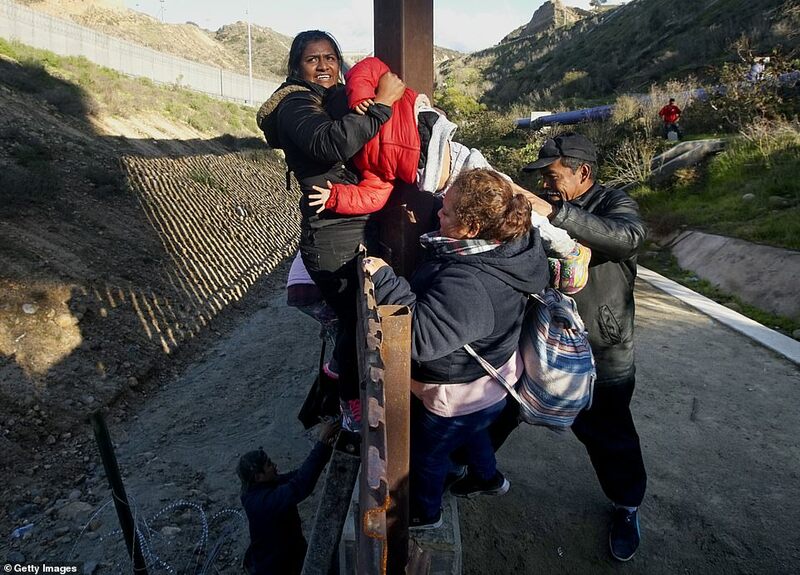 They’ve become discouraged by the long wait to apply for asylum through official ports of entry into the US. 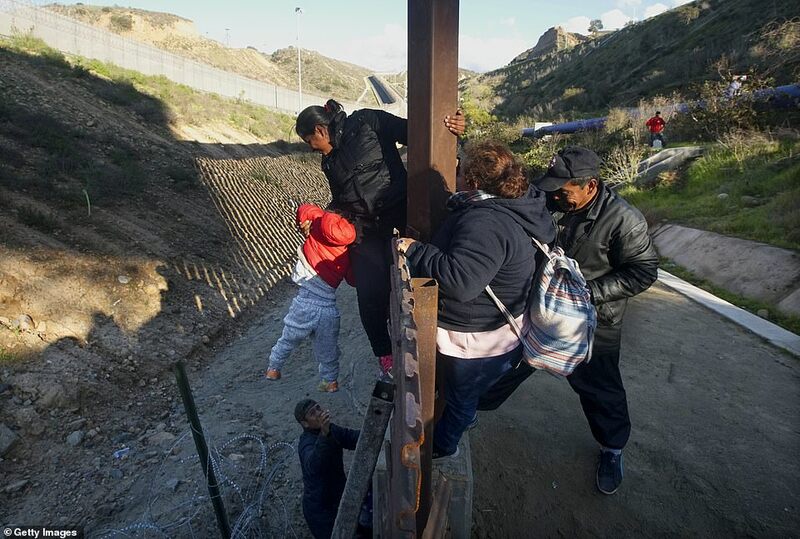 Many have taken to crossing the border wall illegally and handing themselves over to border patrol agents. 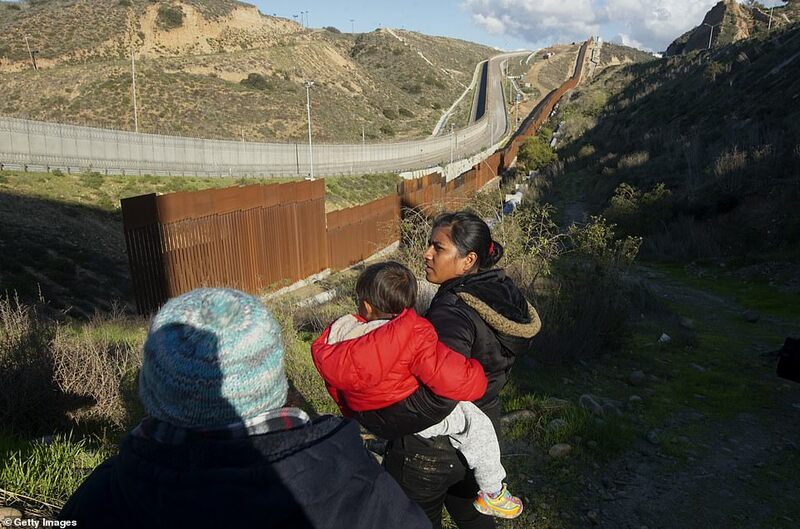 It comes as the U.S government goes into the third week of a partial shutdown with Republicans and Democrats at odds on agreeing with President Donald Trump’s demands for more money to build a wall along the border.